The new mom goes barefaced with a pair of clear-framed glasses and her hair tied into two top knots while her 2-week-old daughter Adeya Nomi is nursing on her left side. Kehlani took to Instagram to show her new routine as a mom. On Tuesday, April 9, the 23-year-old singer posted on the photo-sharing site a pair of pictures showing her breastfeeding her 2-week-old daughter Adeya Nomi. The first-time mom was glowing as she went makeup free in the snaps. She was smiling to the camera while taking the selfies in a bed. She flashed her bare breast as her daughter was nursing on her left side. Kehlani pouted to the camera in the second image. She wore a black top, revealing an array of tattoos on her neck and two arms. She also sported a pair of clear-framed glasses and hop earrings, while her hair was tied into two top knots. “It’s just us twooooooo it’s just me and youuuuuu nowwwww *cassie voice*,” Cassie captioned her post, quoting lyrics from her 2006 hit “Me & U”. 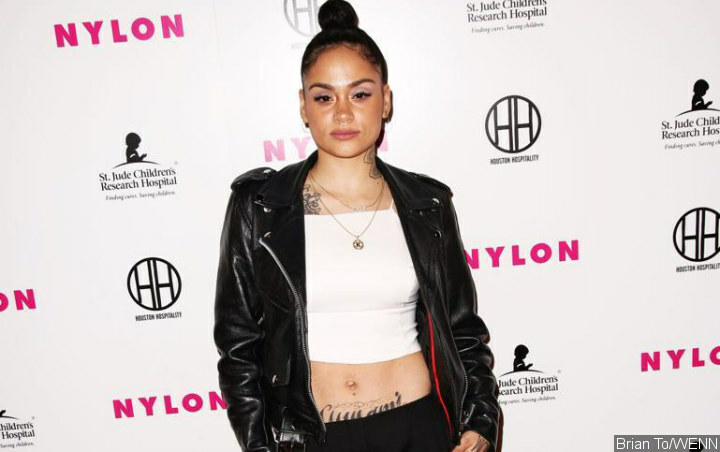 Kehlani welcomed her daughter Adeya, her first child with guitarist Javie Young-White, in late March. The “Crzy” hitmaker, who announced her pregnancy in October 2018, gave birth at home in her bathroom.